Great, really helpful. So I went to look at the package logs. Those actually didn’t show any failures, rather they just showed “Pending Execution”. At this point I knew it was going to be a long day. A Group Policy that had been applied to the server over a month before took effect after a server restart. This policy restricted accounts in a couple of security settings which prevented SSIS from being able to handle authentication correctly. This is one of those unforeseen circumstances things. A Group Policy object (GPO) had previously been deployed on test systems and no issues were encountered. In fact the policy had been in place for a while in production. There are, I discovered later, pieces of the GPO that would not take effect until after a server restart (this was discovered in trying to uncover the root of the problem). It would seem that in testing we applied the GPO, however no restart of the server took place and so we did not run into the problem. A patch/restart of the SQL Server caused the GPO to be applied and new security settings to be enforced. Getting a little further down in the technical details here. SSIS passed up the error to its (and SQLs) logs as “Pending Execution”, yet this still caused the job to fail. What is a Pending Execution state? I have no idea, and I can’t find anything to indicate what it might truly mean. So far as I can tell it means that SSIS is messed up and nothing more. I went down a few dead ends trying to figure it out, and then decided to validate one of the packages on the system. Rather than use the GUI (which loves to swallow errors) I used a TSQL command against the one of the packages. This provided a starting point for trying to track down the issue. The key piece of the error message is “lack of a privilege not being held by the client”. This is generally something that ends up being caused by local security policy on the server. So I started digging some to try and find what policies should be in place for SQL and what ones were missing or locked down. 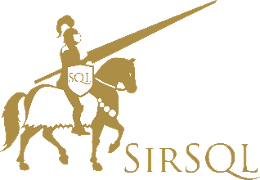 Eventually I came up with a couple of things that were not being applied for the SQL Service accounts, that are needed in order for SSIS to function. I looked to try and update the local security policy for those items, but was unable to because of GPO settings. I checked to see what GPO were being applied for these using the “Resultant Set Of Policy” tool (rsop.msc). Yes, I know, don’t use GUIs, but this was faster for me as I don’t get to touch GPO often. Drilling down to Computer Configuration -> Windows Settings -> Security Settings -> Local Policies -> User Rights Assignments. This showed that a certain policy was being applied to these items. I called one of the Domain Admins, who came online and removed the server from having this policy applied. Then went into each of the three listed and added the SQL Service account. From there a reboot was performed. After the server came back up I ran the validation proc again, and it came back clean. From there I was able to run the SSIS packages. It was certainly not a fun experience (troubleshooting SSIS rarely is). Going forward we will be ensuring that all changes to GPO include reboots in our test environments to ensure that we potentially capture all problems ahead of time.